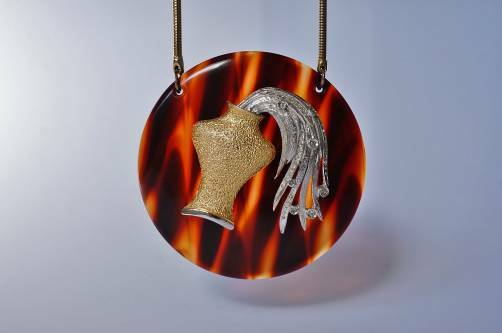 Pierre Cardin necklace with a large pendant featuring Aquarius from Cardin`s horoscope series, 1960`s Italian. 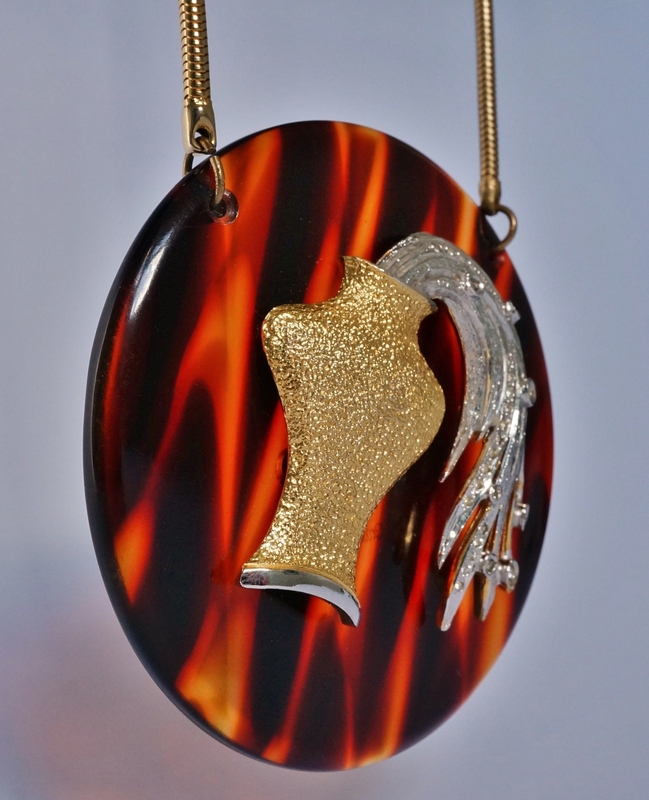 At the focal point of the faux tortoise shell pendant is the water-bearer`s pitcher in textured gold plated gilt. 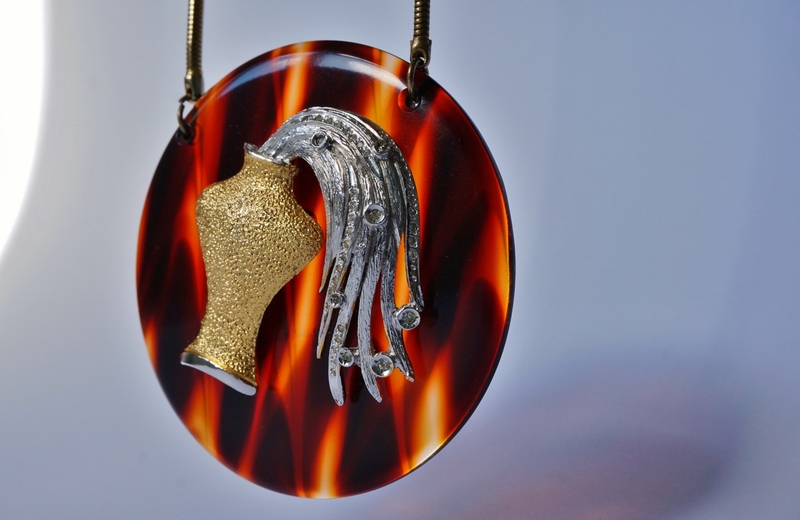 Flowing out from this there is water represented in silver toned metal & rhinestones. The streams of water are highlighted with gold toned gilt to add depth. 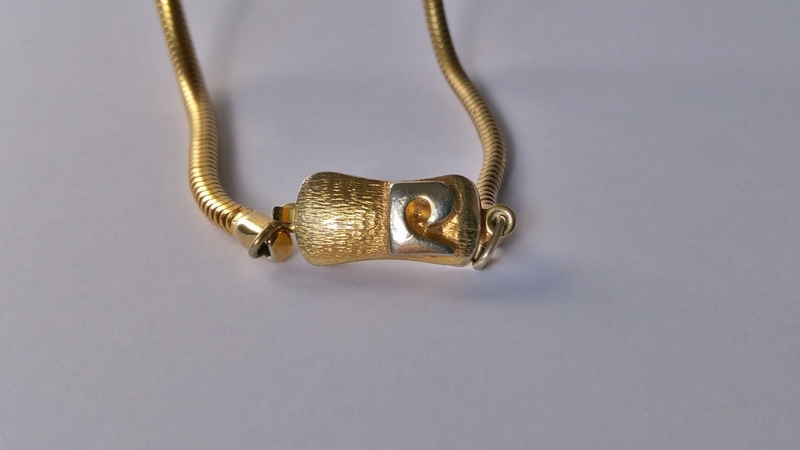 This large pendant is on a long coiled gold plated gilt snake chain. 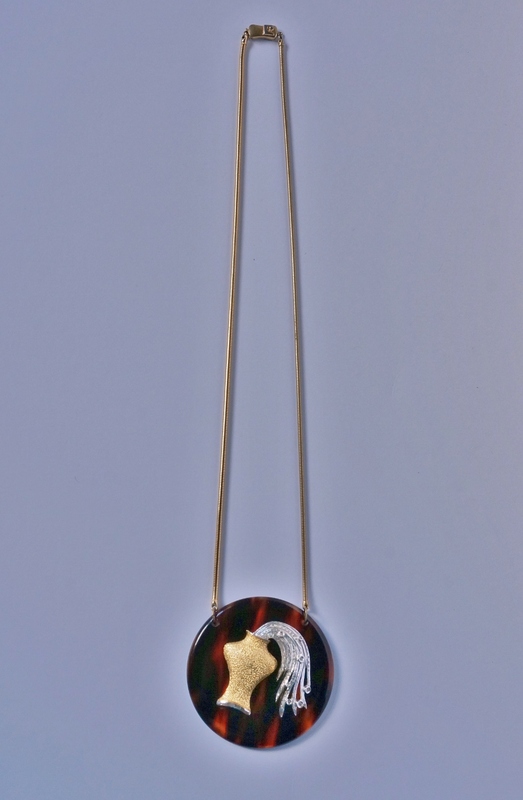 Pierre Cardin`s fashions from the late 1960`s often featured long pendulum shapes at the chest similar to this pendant necklace. Looking in details the silver toned metal is decorated with seven bezel set rhinestones and many pave set smaller rhinestones. 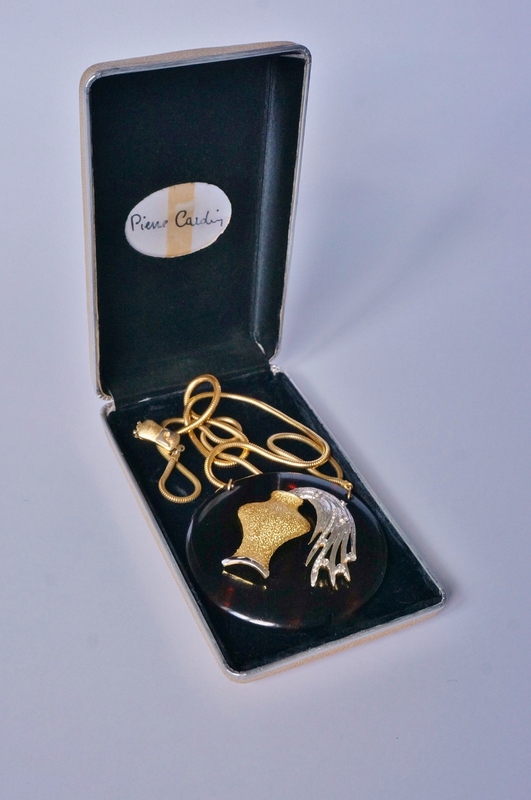 The back of the pendant is stamped `Pierre Cardin Made in Italy`. 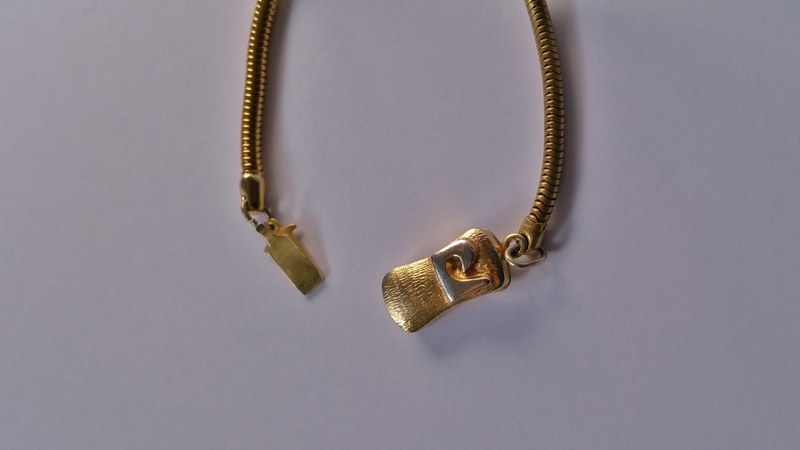 The clasp on the chain has the Pierre Cardin logo. Comes with the original box. Outside it is cream and stamped in black `Pierre Cardin Paris`. 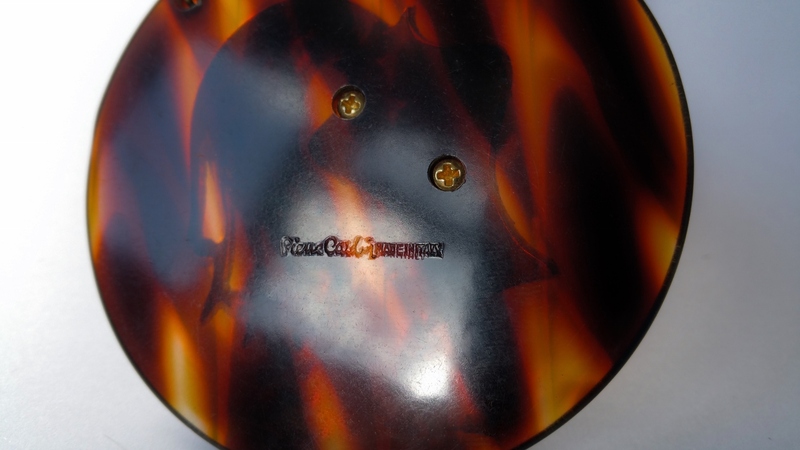 Inside it has black fabric with a cartouche containing the Pierre Cardin signature on the lid. 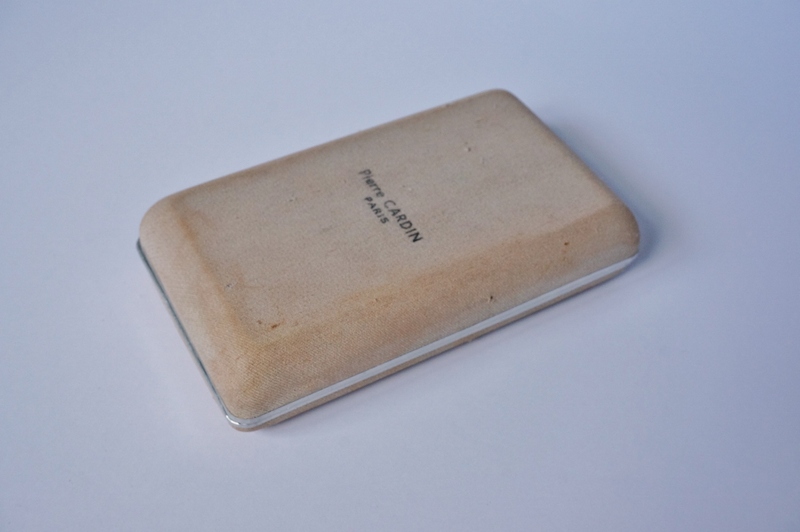 The faux tortoise shell is in good condition with a few scratches in line with age. 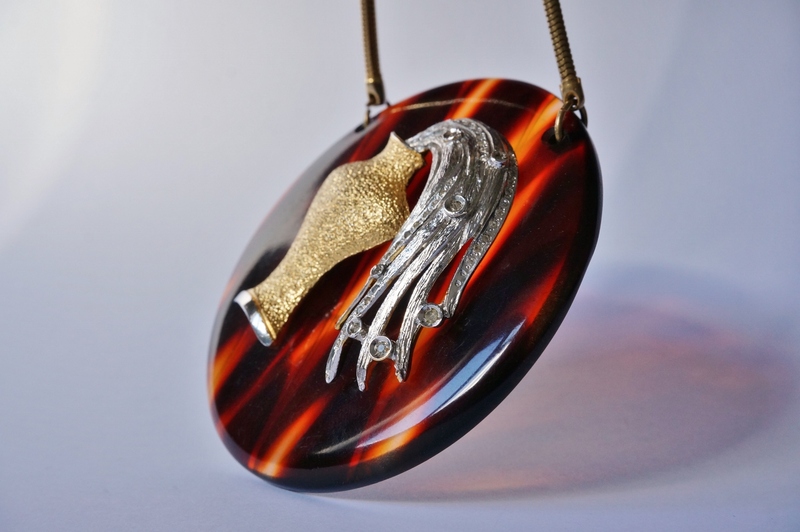 The gilt and silver tone on the pendant is in good condition. All the rhinestones are original and present. On one of the bezel settings there is a minor nick in the ring probably from the time of manufacture. 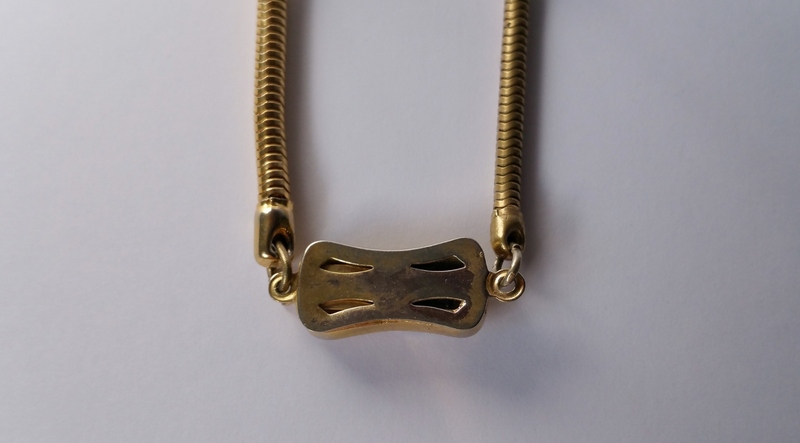 The chain and clasp work well with minor rubbing to the gilt in line with age. 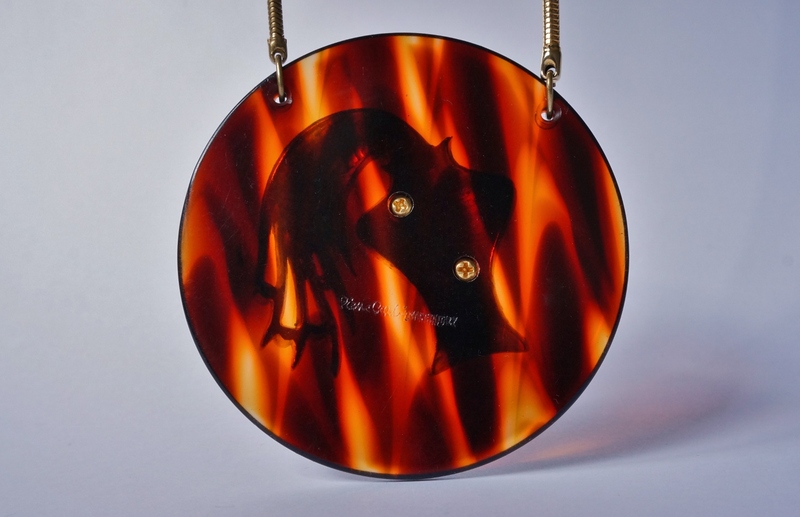 The pendant has the following dimensions: Diameter 8.5 cm, Depth: 1 cm.